Macy's 3 Piece Bedding Sets just $19.99! 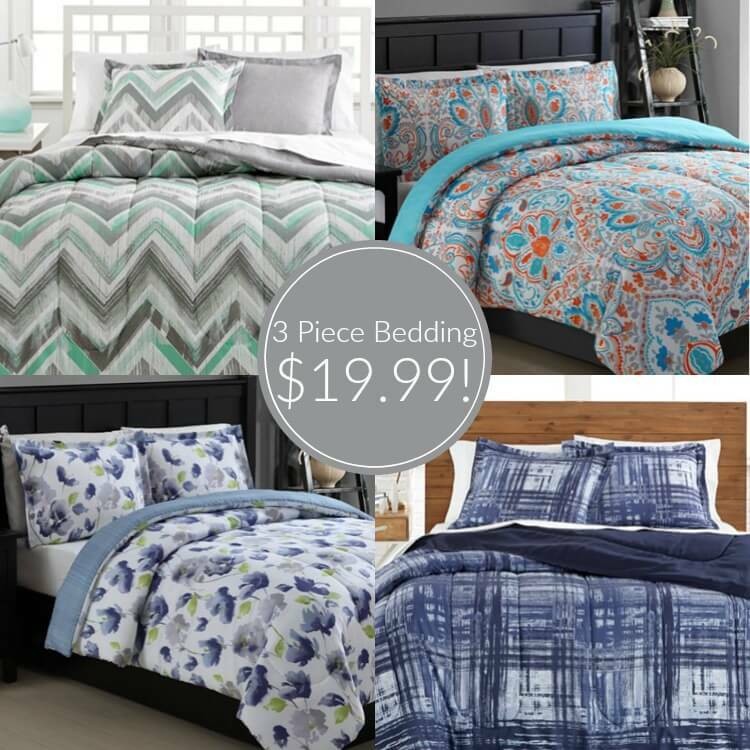 Home / Deals / Online Deals / Coupon Codes / Macy’s 3 Piece Bedding Sets just $19.99! You won’t even need Macy’s Coupons to get some great Macy’s 3 Piece Bedding Sets for as low as $19.99 and they are regularly priced at $80! There are a few sets marked down to $19.99 and you can get them in sizes Twin, Full/Queen, and some are even available in KING!!! You can get the Julissa Set, Dylan 3 Piece Bedding Set, the Emily 3 Piece Set, and the Jasper 3 Piece Sets for $19.99! They will sell out fast, so hurry!